MCR Safety stocks a variety of ANSI rated safety vests for your high visibility needs. With an assortment of styles and colors, you can choose a garment that ensures that you show up in a variety of complex backgrounds. It can be a matter of life or death, so be seen in MCR Safety's Hi-Vis apparel. 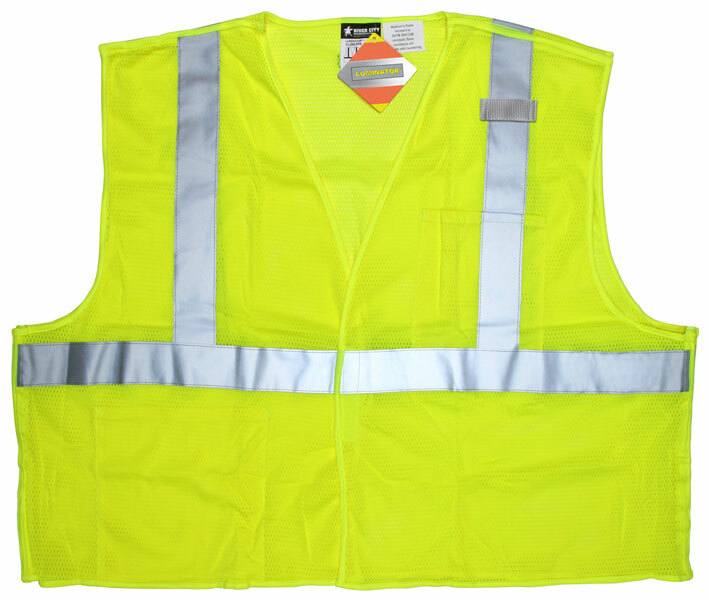 The CL2MLPFR is an ANSI Class 2 break away mesh safety vest made of fluorescent lime limited flammability polyester material. It features 2 inch silver reflective stripes, hook and loop closures, 1 inside and 1 outside pocket. This garment is not flame resistant as defined by ANSI/ISEA 107-2015 Section 10.5. For more information on Limited Flammability, Click Here.